My good friends Augie and Korin from The Hard Lessons tied the knot after nearly 8 years of dating, songwriting and singing all over the place together! Congrats, first off, to them! 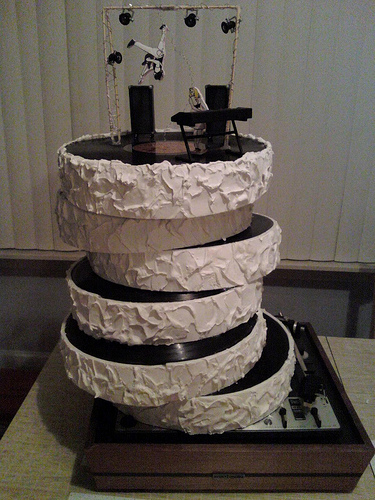 I happen to work for their manager Chris Johnston (co-owner of the amazing Woodward Avenue Brewers and Emory Restaurant in Ferndale) who just a week before their reception mentioned he’d love for them to have a “wedding cake made out of vinyl records.” He needn’t say anything more! Taking on the challenge, I first called our “Handmade Detroit boyfriend” Mike and asked if he had any beat up vinyl records at the record shop. His response was “HOW MANY?” I swung by and grabbed about twenty or so and got to work on my design. I was advised to cut strips of foam core poster board, then cut teeth notches into the sides to create the “layers.” Once that was done, the vinyl was hot glued on top. Each layer was “frosted” in joint compound I had left over from a home repair project — perfect! I again hot glued the layers staggered on top of eachother. 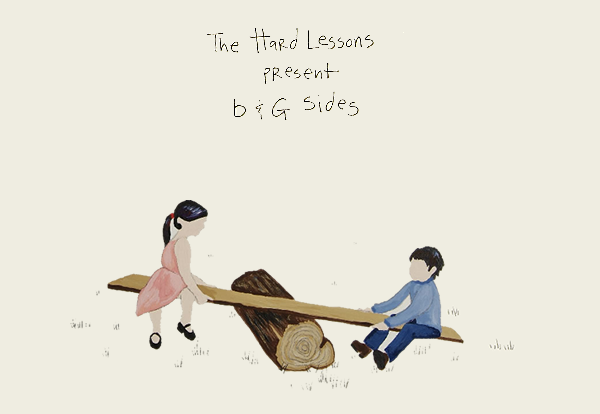 My sister Emily (who happened to do all the illustrations for The Hard Lessons’ latest EP “B & G Sides”) created their images for the top. 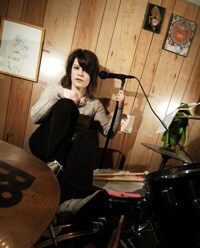 I built the “lighting rig” out of craft sticks and wire, and the other P.A. additions (lights, keyboards, cabinets in back) were borrowed from my “Electic Mayhem Muppet band” display. All of this was mounted on an old record player I had in the basement. The “fake cake” was a hit — it was the center piece surrounded by 200 cupcakes for the guests. The rest of the left over vinyl served as individual table centerpieces, with a small vase of roses and a few candles on top. 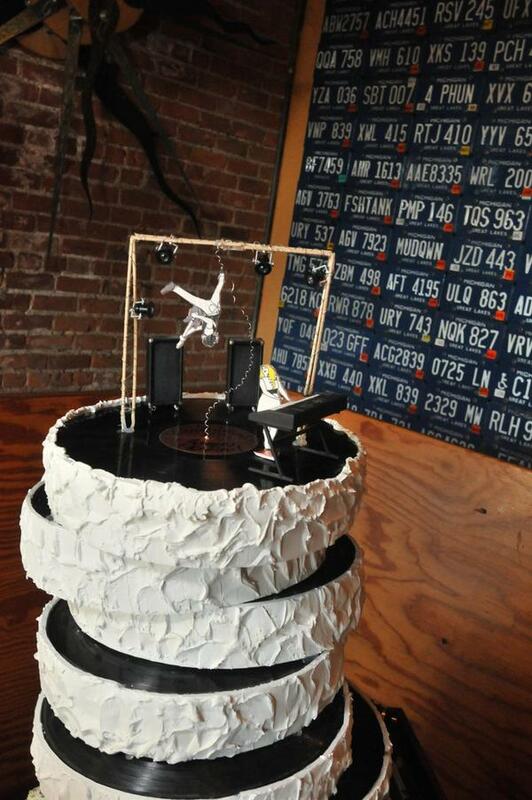 Next time I may try a six-tiered cake in real edible materials! Check out Doug’s Flickr set of the festivities, including a few more of this crafty creation here. I love it, Care! Pure genius! FANTASTIC and AMAZING ! You’ve outdone yourself..how many times have I said that to you ? But wow…and loved the above walk through. Yer an inspiration there , not to mention a trooper in every sense. WOW ! THANKS CHRIS! bike club misses you too. please tell us if yer in the D! 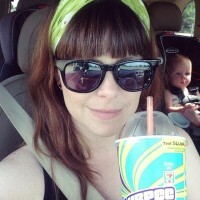 carey, this is fabulous! nice job. 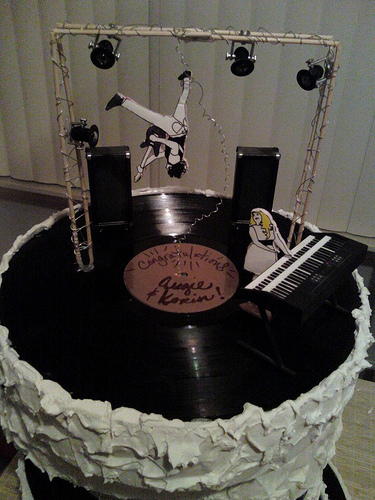 This cake rocks! your cake looks like some cakes made by cake crumbs in birmingham! you should work with them!